On 8th December 1660, Margaret [Peg] Hughes stepped onto the stage of the Vere Street Theatre, formerly Gibbons's Tennis Court, to play Desdemona in Killingrew's production of Shakespeare’s Othello. Her performance made history. According to legend, she was the first professional actress to have ever appeared on the theatrical stage, the ban that prohibited women from acting having just been lifted. With her acting talent, sensual eyes, dark, long hair, and beautiful face, 30 year old Peg took the acting scene by her storm. She also caught the eye of many men of the court. 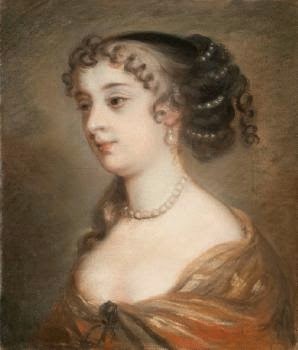 Her lovers included Charles Sedley and even King Charles II himself. But it was Prince Rupert of the Rhine who caught her heart. She met him in 1668, while on a summer visit to Tunbrudge Wells with the Count de Gramont. Now middle aged, the dashing cavalier of the English Civil War was a wealthy man who, after a quarrel with his elder brother, had moved to England, where he lived under the patronage of the King, his cousin. Peg was an admired actress who, the following year, became a member of the King's Company, granting her immunity from arrest for debt. She was also painted by Sir Peter Lely, one of the most famous painters of her time. She knew what she worth and wasn't about to give away her favours freely. So, she refused Rupert's gifts, preferring to "sell her favours at a dearer rate". But, as hurt as he was by her rejection, Rupert wasn't about to marry her (although some sources claim they tied the knot in a "left-handed marriage ceremony", meaning that the bride and her offspring wouldn't inherit the groom's wealth, titles, and privileges). Whether their union was legitimized or not, it was a happy one. Rupert's refused his brother's request that he married a more suitable bride and give the Palatine an heir. 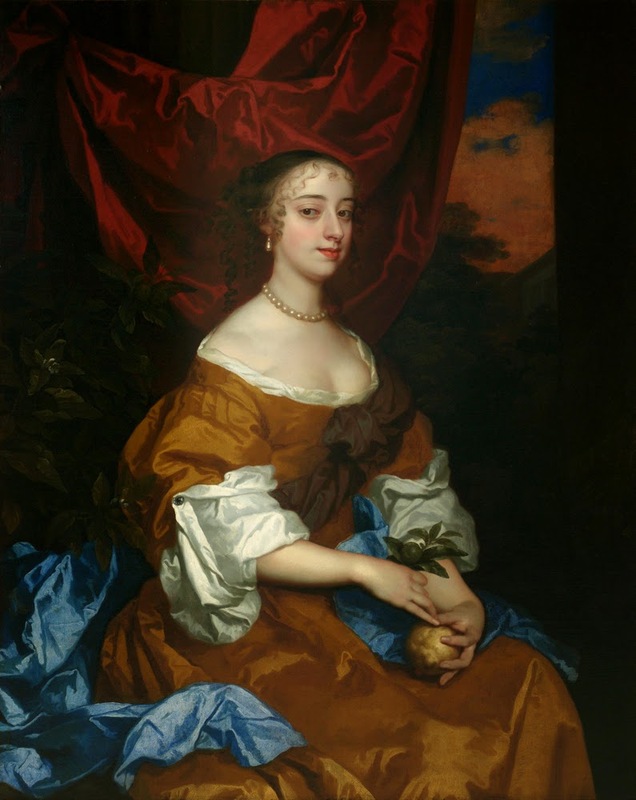 That year, Peg left the stage to set up a very comfortable and luxurious home with Rupert and, in 1673, she gave birth to a daughter, Ruperta. Three years later, Peg returned to the stage. She acted with the Company at the Dorset Garden Theatre, near the Strand. After that season, she retired from the Strand to take care of Rupert. He was now 57, and his health failing. By 1680s, he was confined to his bed and had to use an invalid chair. Rupert died in 1682, leaving all his money, investments, estates, and jewels to Peg. Despite Rupert's generosity, Peg's widowhood was "uncomfortable", her money problems made worse by her penchant for gambling. Many of her possessions were sold to pay her debts. Eventually, she had to sell her house in London too, and move to Eltham, Kent, where she died in October 1719. Was Count Fersen Really Marie Antoinette's Lover?